Somehow, we’re already creeping up to mid-August. Time certainly does fly when you’re having fun and this weekend will be no different. 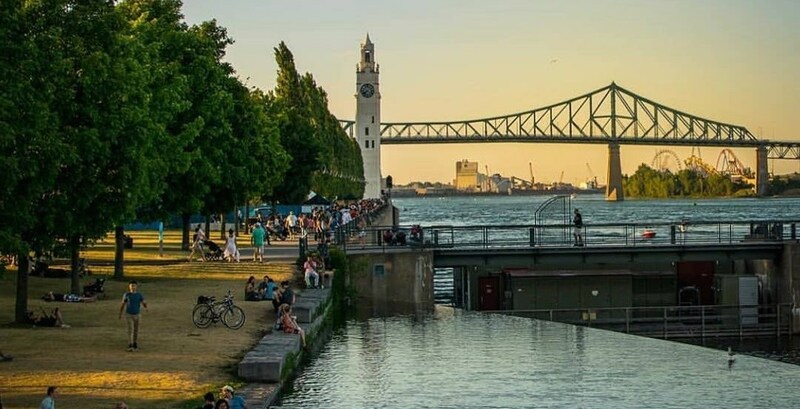 Montreal is booming with events this weekend, from Montreal Pride, to festivals, food, and activities, you’ll be busy this August 10 to 12 weekend. The massive Italian community in Montreal will be concluding its 25th annual Italian Week this weekend in the renowned Little Italy. The festival aims to promote the Italian culture through music, fashion, cars, shops and obviously, food. Cavalia is a massive Canadian-owned company that specializes in live shows mixing equestrian performances with theatre, acrobatics and stagecraft. Since 2003, the event has travelled to perform in front of more than 8 million spectators worldwide throughout over 70 destinations including North America, Europe, Asia, Australia and the Middle East. Renowned for being hosted at the world’s largest big-top tent, the spectacle returns to Rue St. Catherine this summer, right at the foot of the Jacques Cartier Bridge with over 70 horses. 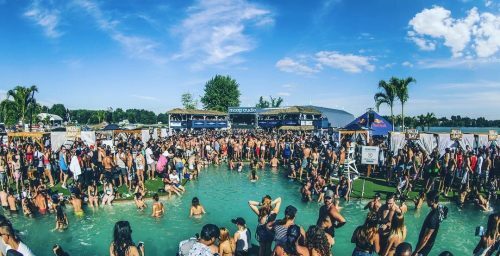 If you’ve recovered from last weekend’s Osheaga, îleSoniq is a two-day electric dance music festival that starts today at Parc Jean-Drapeau. 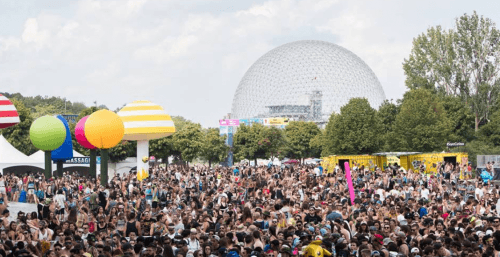 Traditionally hosted by Île Sainte-Hélène, îleSoniq will hop over to Île Notre-Dame for the 2018 edition of the festival. A beautiful mixture of rolling pasture and forested areas highlighted by flowers and local open-air artwork. The festival has three stages, an exotic decor, and more than 50 DJs and artists to give you a memorable and electric experience. Every year îleSoniq brings a variety of food vendors and restaurant outlets from around the city sprinkled throughout the site. Vegetarian, vegan, and gluten-free options are readily available. La Falla is an urban festival that features the creation of collective work made of wood and paper and celebrates the art of fire. The outdoor festival hosts concerts, family activities, fire dancing and breathing and hosts a massive bonfire every night. 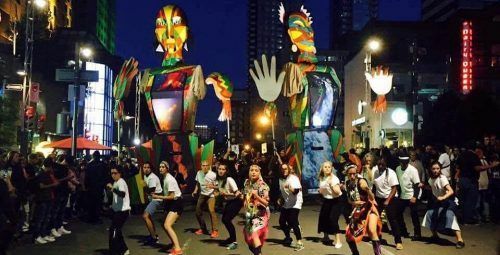 The 28th edition of the festival will bridge Montreal and the First Nation community with aboriginal heritage. The festival will host a vast array of food, cinematography, poetry reading, electro concerts and dance, connecting the city to the Kahnesetake pine forest, in honouring the history of Canada’s First People. Displaying the colours with the raising of the rainbow flag is always one of the strongest emotional moments of the Pride festival. A symbol of the global LGBTQ+ movement, it symbolizes the affirmation, the diversity and the pride of the communities. 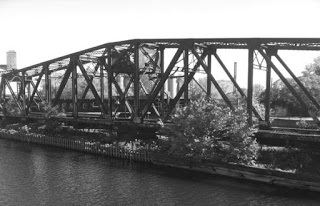 Griffintown is one of Montreal’s most historic neighbourhoods – and one of its most haunted. The area has witnessed dying Irish refugees during the Famine of 1847 and Mary Gallagher, the headless prostitute. Today, condos are sprouting up all over the Griff, but new residents are quickly learning that the district is ghost-ridden. Take part in a ghost tour conducted by professional actors and storytellers. The Roman Catholic parish church of St. Peter the Apostle celebrates daily music and art performances in celebration of our ancestors and the dignity and pride of every one. The church, constructed in 1853, is subtly, powerfully and beautifully decorated to show its support to the community. The beachside village is hosting Afrohouse music from DJ Rise Ashen Music as well as a BBQ, bar outlets, sandy beaches, a friendly basketball game and hammocks. The quaint, comfortable theatre is showing John Carpenter’s 1986 classic film starring Kurt Russell as a macho man truck driver who agrees to travel to San Francisco to pick up his friend’s fiancee from China. When she gets abducted by a gang from Chinatown, things get pretty wild. The film is a mash-up of the Western and Chinese genres. The International Balloon Festival of Saint Jean-sur-Richelieu is the largest gathering of balloons in Canada. The week-long event caters to the entire family and is an easy 40-minute drive off the island of Montreal. 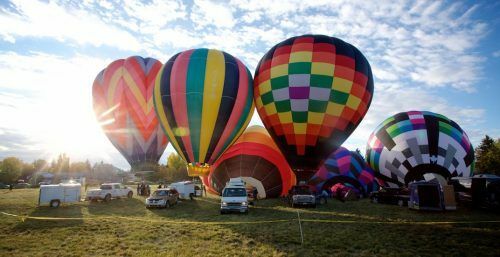 The Balloon fest floats off this Saturday. The event has grown to host food vendors, bar outlets, live bands, theatre performances, activities and has garnered a reputation on an international scale. This year’s outdoor party will feature hot air balloons from Canada, the United States, France and Brazil. MudGirl is a 5 km foot race that includes over 17 obstacles to overcome. Whether you’re alone or with a team, the challenging course is committed to testing cohesion, endurance and good humour. The run is available to ladies over 7-years-old with any level of running/mud/obstacle course experience. Men are encouraged to come support but cannot participate. Matsuri Japon is a massive festival that celebrates the Japanese community and culture. 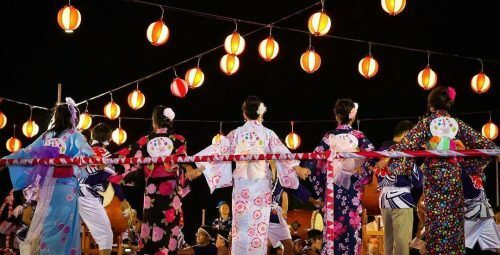 The one-day event will feature Japanese food, karate lessons, desserts, drinks, drum and dance shows, kimono rentals, language workshops, art demonstrations and Japanese archery tutorials. Sivananda Yoga Montreal is offering free yoga every Saturday at two different locations. Both classes start at 9:30 am to 10:30 am at Sir Wilfrid Laurier Park and Outremont Park respectively and stretch out throughout August. Support local creatives and businesses in a market that celebrates Pride. The market prioritizes the participation of Black, Indigenous and people of colour and trans and gender non-conforming persons. 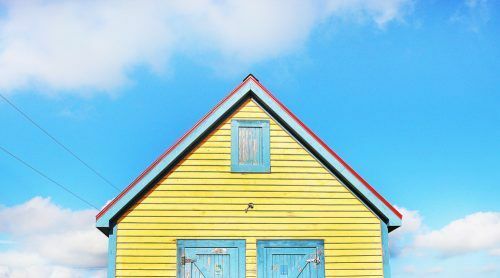 The Tiny House Festival sounds like it could be just a collection of Legos but it’s actually the gathering of exhibitors from North America who have made the move to tiny houses. The festival will showcase several tiny houses that you can visit, family games and lectures. The Youth BBQ activity is a safe space reserved for young people (aged 14 to 25) who identify as lesbian, gay, bisexual, pansexual, trans, intersex, queer, questioning, asexual and two-spirit. It’s an opportunity to mix with the diversity of peers and celebrate solidarity in a relaxed and festive atmosphere. 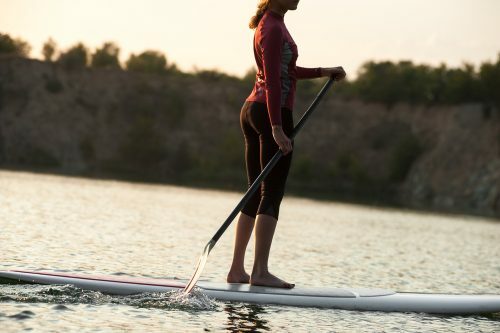 The MTL SUP festival celebrates stand-up paddleboarding, surfing, canoeing and paddleboard yoga. 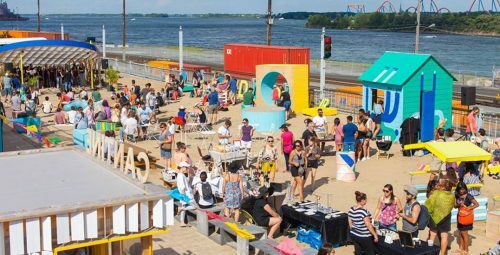 This weekend, MTL SUP is hosting a festival including all water-based activities, swim gear, food and drinks. The site will have pop-up shops, beer, sangria, tacos and live music. Haunted Montreal conducts Ghost Walks and carries out research into ghost sightings, paranormal activities, historic hauntings, unexplained mysteries, and strange legends from Mont Royal. Join a tour conducted by professional actors and storytellers and learn about the mountain’s frightening past. As seen on Just For Laughs, Puppets Who Kill and his own one-hour special on The Comedy Network, Pete Zedlacher is a force of nature when it comes to stand-up. Equal parts smart and silly, Zedlacher latches on to a Canadian routine and doesn’t let go. The show is open to ages 18 and older. Montreal’s Great Gothic Picnic is back for another summer. Besides bringing your own food, the site will host live music, games, shows, artists, and vendors. Organizers urge guests to bring a lantern if you want to stay out late. The Montreal Museum of Fine Arts has unveiled their newest exhibit in the Sculpture Garden – an optical illusion. 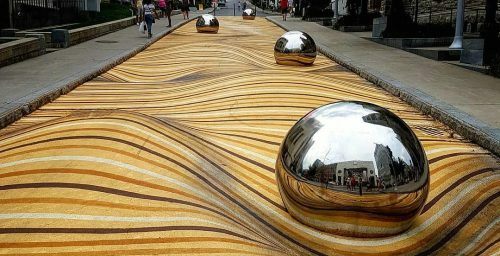 The exhibit features silver spheres, designed to look like they’re moving through a dessert, fusing notions of real and virtual to give downtown Montreal its very own urban mirage. You can experience two of Montreal’s most stunning landmarks in one trek: the St. Lawrence River and Mont Royal Park. Stroll from one to the other on a beautiful 3.8-km promenade that features wide sidewalks, pedestrian crosswalks, rest areas, greenery and access to various restaurants along the route. The multimillion-dollar investment from the city’s 375th birthday celebrations is a site to see. Beachclub claims to be the largest outdoor club in North America. Its name tells you exactly what it is: a club on a beach. Get your fist pumping at the massive party that hosts pools, a beach, plenty of alcohol, food vendors and wakeboarding. This weekend’s headlining DJ is the English dubstep specialist, Zomboy. Film Noir au Canal is showing free film noir classics at St-Patrick Square on the canal. Sunday’s showing is Jean-Pierre Melville’s 1966 crime/thriller classic, Le Deuxieme Souffle. It’s screened in its original French version with English subtitles on a massive screen. Montreal accordion player Laurence Sabourin will perform to open the film screening. You can’t mention things to do on a Sunday in the city without highlighting Tam Tams, it’s a landmark. 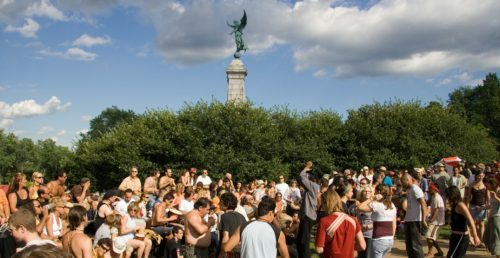 Tam Tams is a giant outdoor party with dancers, sports and drummers all gathered around the Sir George-Etienne Cartier monument. 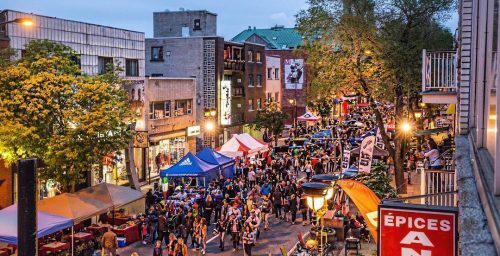 Head over to the mountain and enjoy a longstanding Montreal tradition and vibe. 420 friendly. 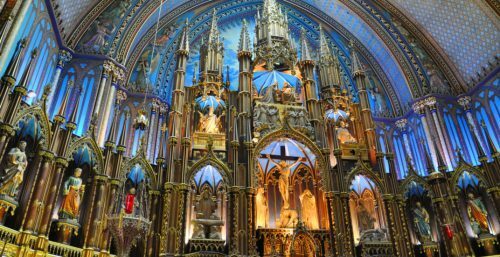 Celebrate Sunday mass at Montreal’s most viewed structure at 11 am and hear a 25-person choir accompanied by the organ. Or, take a walking tour of the basilica which is an absolutely gorgeous spectacle. It is filled with hundreds of wooden carvings, several religious statues, and gigantic stained glass windows. Nextdoor is the place to on Sundays to eat and drink. They offer deals at both ends of their hours – bottomless caesars and mimosas in the afternoon and 29 cent chicken wings at night. Park yourself at the quaint, basement pub and see how many cheap and equally tasty wings you can devour.